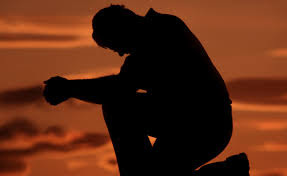 When Ben woke up early in the morning, he felt a burden in his spirit, but because he could not express this burden using words, he began to pray in the spirit. He prayed in tongues for about 30 minutes, until he felt the burden lift. Ben got to the office that morning to discover there was a big conspiracy against him. Someone had submitted a terrible complaint against his department, and it was clear to him that he was the target. Something similar made his colleague lose his job the previous month. Immediately Ben got wind of the situation, he understood why the Holy Spirit wanted him to build spiritual might early that morning; he also knew he was going to come out of that situation victorious. That was exactly what happened; his accuser was the one who lost her job. As you go into today, remember that the Holy Spirit helps you in the place of prayer. There are many times you don’t know what to pray for as you ought to pray for it, but the Holy Spirit helps you in such times. It is important to be able to pray in the Spirit, especially in tongues. Praying in tongues does not require interpretations because you are talking to God who understands all languages. When you are delivering a message in tongues to men, then it should be interpreted.